Written by Nicole Kohler on April 7, 2017 Blog, Digital store. There are some huge advantages to selling digital products. There’s no need to package and ship anything, fewer costs associated with stocking and managing products, and you can usually get new items added to your store in way less time. But these products come with their own set of challenges. Have you ever tried to photograph a digital product? Or write a compelling product description about a downloadable file? It’s not so easy. 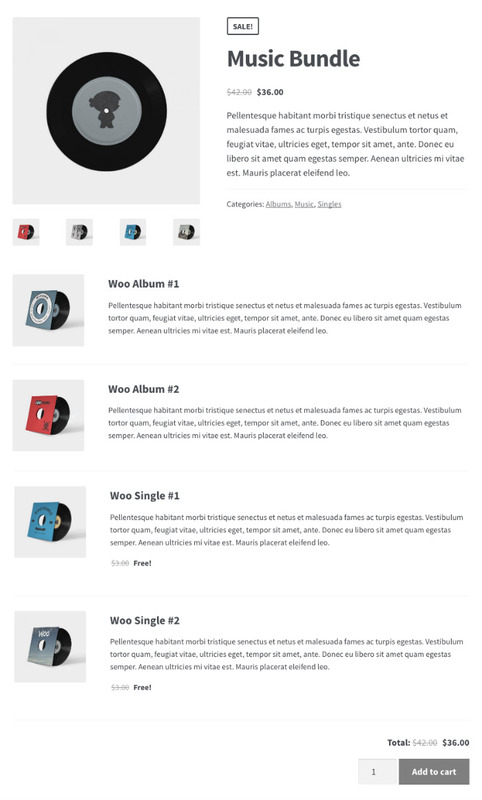 Setting up an amazing digital goods store with WooCommerce (or simply selling a few downloadable items) takes some smart choices. Lucky for you, we’ve got a whole bunch of extensions that will help make those choices easier, and maybe even kick your sales up a notch. Here are four extensions we think are must-haves for digital goods stores, whether you’re a seasoned pro or just getting started. Some digital products, like music files or photos, are priced pretty attractively. Shoppers may pick up a few items simply because the deal is so good. One way you can motivate customers to make purchases of multiple products instead of just one is with the bundling method. And with Product Bundles, you can create bundles that incentivize these larger purchases via discounts, bonus products, and more. Why buy a single product when you can get a bundle for less? You can create bundles consisting of virtually anything you like — multiple photographs, music singles, several eBooks, related Photoshop templates, or whatever else you sell. Just come up with a theme, pick the included products, and you’re on your way. Each new bundle lists the individual items inside includes so shoppers know what they’ll get. Also, bundles gets its own product page so you can link to it elsewhere on your store (say, as a related product or upsell). Finally, as mentioned, you can incentivize the purchase of bundles over individual goods by creating discounts or adding free bonus products. You can even make some of your bundle products optional, so customers can customize their purchases a bit — and ultimately be 100% satisfied with their purchase. Whether or not your customers purchase bundles, as mentioned, digital goods stores are much more likely to sell a bunch of items at once. And downloading all of those files, one-by-one, is incredibly tedious and time-consuming for customers. WooCommerce Bulk Downloads can help you change that. This handy little extension modifies your customer’s account area by adding “Select All” checkbox, plus a “Download All Files” button. Grab and go. No more clicking all those individual links — just hit the button. It also adds a “Download Order” option to the order confirmation screen, giving customers the ability to immediately download their entire order in a single ZIP file. Now customers can get their orders faster than ever. This will save your customers time and clicks, especially if you sell anything they’re likely to purchase a lot of — say stock photography or templates for design software. If you sell a lot of digital goods, or simply have products that take up a ton of space (like 3D models or videos), you might find yourself running out of storage with your host pretty quickly. Or you might just want a storage option that offers backups, or better uptime in the event of your store getting flooded with requests for that newest single at midnight. One of the most popular hosts for digital goods is Amazon Simple Storage Services (otherwise known as Amazon S3). If you choose to use S3 for your goods, you’ll need a way to link them to your WooCommerce store — and that’s where this next extension comes in. Our Amazon S3 Storage extension is a simple addition that allows you to easily link to products stored on Amazon S3 rather than uploaded to your host. Just pop a shortcode into a specific field instead of selecting an uploaded product and you’re on your way. Amazon S3 is a gem of a host, and this extension makes them easier to use with your digital goods store. 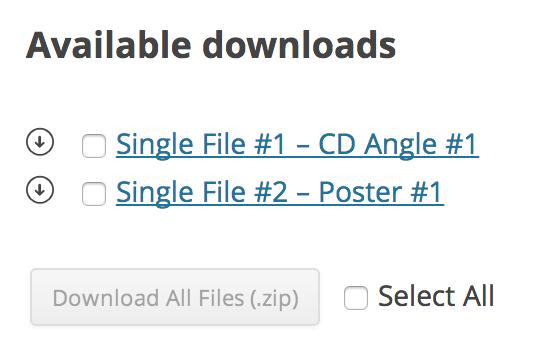 As a bonus, you can link to multiple S3 “buckets” for single files. This way, if you have anything really important, very large, or just want the knowledge that it’ll be there when your customers try to access it, you’ll have the option to serve it from more than one spot. Our final recommendation is one that might help you think a little differently about your store and its digital goods, and possibly create a source of recurring revenue — something everyone who sells online should be looking for! WooCommerce Memberships is an extension that gives you the power to make specific products or areas of your store members only. This is a really powerful marketing tool that taps into customers’ fear of being left out — “if you’re not a member, you won’t get x or y” — plus, if you choose to charge for memberships, adds some revenue to your store. A membership for your digital goods can take the form of anything you like. Maybe you want to only offer a few hundred stock photos for sale normally, but have a couple hundred more available for members. Or maybe members get access to special demo versions of your music, or can purchase new songs before anyone else. Or maybe they get exclusive discounts! Members-only discounts might be a big selling point, depending on what kinds of goods you have. If you’re starting a digital memberships site from scratch, we recommend picking up the WooMembers bundle. This bundle includes WooCommerce Subscriptions, so you can charge customers for their memberships at the frequency you like. It’s also got a bunch of other amazing extensions and features we think you’ll love! Both physical and digital goods have their own challenges — they just come in different forms. Luckily, these extensions should help you face those challenges head-on, whether they’re a lack of space for your files, customers who need to download large purchases, or something else. These are just a few extensions that can help you better manage a digital goods store. Have a favorite of your own? Leave it in the comments. One extension you didn’t mention for digital goods is Software Add-on. Hey Collins, this extension was (in my opinion) a little too specific to be included in the list, so I chose to exclude it and include suggestions that were more broadly applicable to digital stores/sellers of all kinds. You could potentially say the same for the photography extension, but as we tend to see more sellers of photography than software AND there’s multiple uses for this one (selling photos to the public or communication just with clients, etc) I opted to go with it. Good feedback regardless, just wanted to give you some insight as to why I did leave out a digital extension here. 🙂 Thanks! Hi Nicole, I used Woocommerce in one of our website. I got a problem adding some products,for some reason it is not loading properly. Do I have install those extra extensions? Hey Lauren, definitely not. These extensions are recommended for digital goods stores (or shops selling digital items), but they’re by no means required. If you run into issues with WooCommerce or a potential conflict between WooCommerce and a plugin, the best thing to do is reach out to our support team: https://www.woocommerce.com/my-account/tickets/ They can have a look at what’s going on with your site and advise you on the best solution. Is there a list of real “digital download” sites? The Pineapple Supply Co. seems to be a front to generate traffic for patreon.com. For example their nav menus include several redirects to other affiliate sites plus they have banner ads on their checkout page, which usually indicates they earn more money from the affiliate banner ads than from their own digital products. 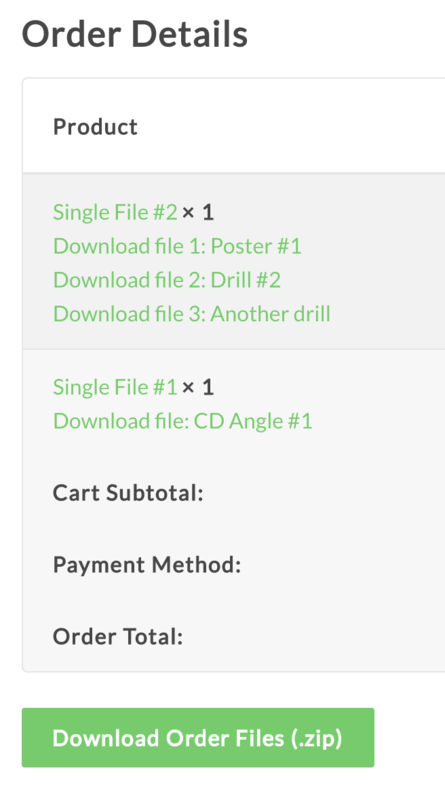 Also the WooCommerce Photography plugin is for selling photography prints which have to physically mailed to customers, not digital downloads. My bad Dan, I’ve removed that extension. We probably need to make that (much) clearer on the product page if not even I realized that. What methods do you use to prevent multiple people from using the same file, where only one person has paid for the download? For example, if the digital product needs to be delivered as a PDF, like an e-book, besides coding a password, (which can easily be bypassed) what are some different methods to prevent the buyer from forwarding the file to another person who will use the digital product, but who has not paid for it?